Alcoholism Intervention may be the best last chance to help. “I am not an alcoholic; I’m just a problem drinker.” That is a funny old joke, but there is a sad element of truth to it, which is simply this—the last person in the room who has any idea that they have a problem with alcohol is the person with the problem. Alcoholics are in the clutches of a disease that grabs them by the throat and is not going to let go without a fight. They are compelled to drink and they want nothing to do with any action that will cause them not to drink. They sometimes literally drink themselves to death and they know they’re doing it. It doesn’t matter. They ruin their lives, shatter the lives of those who love them and are a drain on their community. It doesn’t matter. Desperate times call for desperate measures and an intervention is the means by which family and friends can force the issue. Interventions are not always like the ones you see on television, as those tend to be the most dramatic, if not vial, depictions of a family torn apart. Reality television demands the guttural and nasty and so the shows tend to appeal to the lowest common denominator. But let’s take a look at alcoholism intervention and see what it entails. First of all, there is a purpose for an intervention beyond the obvious need to get the alcoholic into treatment. It is really the beginning of the healing process for the family. Conducted by a trained professional interventionist, family members are encouraged to write their feelings and try to express to the alcoholic what has transpired as a result of their disease. If all goes according to plan, the alcoholic will listen. This is not always the case, because denial is a powerful enemy and the alcoholic may well determine that everyone in the room is wrong and only he/she is right. But if the message is received, the alcoholic will know that treatment is essential, and that’s the bottom line for the intervention. Not every treatment center will embrace the intervention methodology, because they can fail. In fact, it can make matters worst, especially if a family is divided on just what needs to be done. The alcoholic, for example, will target an enabler and try to enlist support for not going into treatment. Or, in sharing the stories, family members might experience hurt feelings and raw emotions. The interventionist may call off the meeting because family members have issues apart from the alcoholism of their loved one. An intervention is the first step in treatment. The alcoholic may go along with the intervention and even go into treatment, but that doesn’t make the intervention a success. If the alcoholic walks out of treatment or fails his/her program, the intervention is not a success, is it? More often, the alcoholic will just walk out. The disease has impaired their reasoning to the point where nothing gets through. They are incapable of acting in their own best interest and so the intervention fails. If an alcoholic is not prepared to receive help, short of locking them in a cage, how are they going to benefit? People will often say that the alcoholic has to hit “rock bottom” before they are willing to allow help to come to them. The alcoholic has to want help. An intervention can help them realize they need help and it can illustrate just how messed up their life is, but it isn’t going to guarantee they are going to want help. That’s an important distinction. Sadly, people watch an intervention on television and decide “Oh, that’s easy, I can do that.” It’s a terrible decision. They can’t. Professional people need to do the intervention, people with training, experience and talent to work with people and facilitate healing. The rank amateur can make things much worse through sheer ignorance. Timing, as they say, is everything,. Alcoholics tend to be receptive after something big has happened in their life, like getting busted for drunk driving, or after they have been caught messing up in a major way, like stealing their children’s savings account. I met a man who was very remorseful after taking his 10 year-old daughter to a church festival and getting blind, staggering drunk. He was ashamed and begging for help. At the time treatment options were explained to him and his family, he was also sober and capable of reason. Believe it or not, alcoholics show up for interventions drunk, just as they are sometimes drunk when appearing before a judge for a DUI charge. Interventions have to carry some kind of consequence. Families put up with the alcoholic because they love them, or they may fear losing them, or they are afraid of them. There has to be a consequence for the alcoholic’s behavior, such as “you either go to treatment and take care of this, or your wife and kids will move out.” Sometimes an employer will tell the alcoholic that his getting sober is a condition of employment, which can be very motivating. In conclusion, alcoholism interventions under the direction of a trained professional person can be an effective tool for families, friends and employers to convince alcoholics that treatment is an essential move. Although they can sometimes be confrontation, they can also be restorative and loving, a time where families come together in an open and honest forum to share from the depths of their souls. They are a last resort, if you will one final try to get the alcoholic to see reality and act in an appropriate manner. 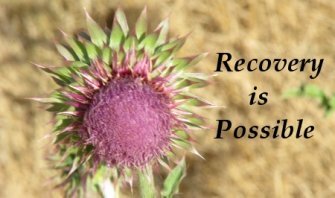 Visit our Home page for more about Alcoholism Intervention. Alcoholism Intervention is completed please return to About Alcoholism.